What Every Therapist Needs to Know About Anxiety Disorders is an integrated and practical approach to treating anxiety disorders for general psychotherapists. What is new and exciting is its focus on changing a patient’s relationship to anxiety in order to enable enduring recovery rather than merely offering a menu of techniques for controlling symptoms. 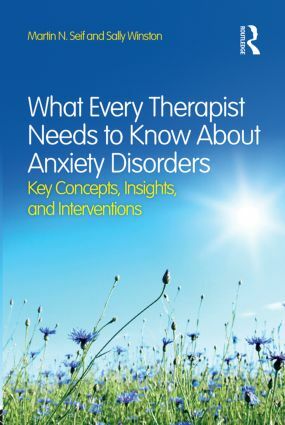 Neither a CBT manual nor an academic text nor a self-help book, What Every Therapist Needs to Know About Anxiety Disorders offers page after page of key insights into ways to help patients suffering from phobias, panic attacks, unwanted intrusive thoughts, compulsions and worries. The authors offer a rich array of therapist-patient vignettes, case examples, stories, and metaphors that will complement the work of trainees and experienced clinicians of every orientation. Readers will come away from the book with a new framework for understanding some of the most frustrating clinical challenges in anxiety disorders, including "reassurance junkies," endless obsessional loops, and the paradoxical effects of effort.